FFA - Allstate says they “will discontinue advertising on Current TV.” Supporters of this email campaign made a difference. Now is the time to voice concern over the new ownership of this channel. Not after the new program content starts airing and companies fear reprisal. Florida Family Association sent out an email alert on February 5, 2013 (see below) which announced that Allstate was a top advertiser on Aljazeera America (Current TV). The alert encouraged Florida Family Association supporters to send emails to six officials at Allstate. Allstate blocked initial emails to their officials so Florida Family Association sent out a second alert that contained an email that each subscriber could send from their email browser. Florida Family Association closely monitored dozens of hours of programing to determine if Allstate had in fact stopped advertising. No Allstate ads have appeared since February 8, 2013. Allstate at one time had as many as four ads per hour. Now there are no straight up ads for Allstate. However, Esurance ads continued to run in smaller numbers. The Esurance advertisements slowly tapered off yesterday. Esurance is a newly acquired asset of Allstate. Florida Family Association will continue to closely monitor the channel and communicate any concerns with Allstate officials. An email alert will be released soon to report the next designated top advertiser on Al Jazeera America aka Current TV. Now is the time to voice concern over the new ownership of this channel. Not after the new program content starts airing and companies fear reprisal. Thank you for your request via Allstate.com. Your concerns are important to us and we appreciate the opportunity to address them. Please allow me to sincerely apologize for any inconvenience you may have experienced. Allstate will discontinue advertising on Current TV due to the new direction of the network and in recognition of the diverse views held by our customer base. Allstate will continue to make its media purchase decisions based on the most effective marketing strategies for reaching a broad range of consumers. I’m going to close your file for now but please reply to this e-mail at your earliest convenience if you have any questions. I can be reached between the hours of 9:00 AM and 5:30 PM Eastern Standard Time. February 8, 2013 email alert and article. Florida Family Association’s monitoring of Al Jazeera America (Current TV) over the past three weeks has determined that Allstate is the top advertiser on the channel even after the company substantially decreased their advertising volume the last week of January. 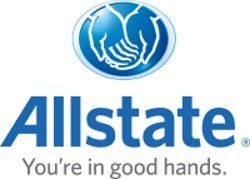 Allstate has resumed robust advertising again. Florida Family Association sent out an email alert on January 21, 2013 that reported the organization was monitoring Al Jazeera America and contacting advertisers. An email was and is being sent to the CEO and Marketing VP of each advertiser to encourage them “to put America first” by dropping their advertising. Florida Family Association informed advertisers that the names of companies and their products that continue to advertise on this network after February 1, 2013 will be posted to an article at Floridafamily.org and other supporting web sites that are concerned about Al Jazeera's access to American television. General Mills advertisements stopped appearing on the Aljazeera America (aka Current TV) channel after January 31, 2013. General Mills was by far the largest advertiser on the Aljazeera America channel purchasing close to twenty percent (20%) of the networks advertising. Florida Family Association had contacted General Mills regarding advertisements for the following products prior to February 1, 2013: Cheerios, Cinnamon Toast Crunch, Coca Puffs, Fiber One, Green Giant Valley Fresh Steamed Vegetables, Honey Nut Cheerios, Lucky Charms, Nature Valley Crunchy Granola, Pillsbury Cinnamon Rolls, Pillsbury Crescent Rolls, Pillsbury Grand Biscuits, Pillsbury Toaster Strudel, Progresso Soup, Totino’s Pizza, Trix, and Yoplait. This is a huge hit for Al Jazeera US. Other Companies that have NOT advertised since January 31, 2013 after being contacted by the Florida Family Association office include: 21st Century Insurance, Dr. Pepper (A&W Root Beer, Dr. Pepper), Floororthopedic.com, Johnson & Johnson (Skinid.com), Kiva Microfunds, Life Alert, Little Caesar Pizza, Luminosity and News Corp. (The Following. It is always possible that these companies’ advertising agreement stopped at the end of the month on January 31, 2013. Allstate is now blocking emails regarding their advertising support for Al Jazeera America that Florida Family Association supporters send through the organization’s server. Advertisements for Allstate were recorded on Current TV as recent as late on the morning of Thursday, February 07, 2013. Allstate’s support for Al Jazeera America must really be strong if they are willing to offend thousands of people by blocking their emails when the channel only has 22,000 viewers. Florida Family Association has prepared an email for you to send to Allstate official. This email campaign has been deactivated. February 5, 2013 email alert and article. Unfortunately, Allstate advertisements returned to the Aljazeera America channel. Florida Family Association sent out an email alert on January 30, 2013 that reported: “Allstate was one of the three largest advertisers that Florida Family Association recorded during the past two weeks. However, there was a noticeable absence of the dozens of Allstate advertisements during the last two days. Allstate is the first company to vanish from Al Jazeera America.” HOWEVER, Allstate advertisements started airing again with enough frequency to qualify it as the top advertiser on the Aljazeera America channel. Florida Family Association has prepared an email for you to send to Allstate official. Please send your email to urge Allstate officials to put America first by stopping their advertising support for Aljazeera US.